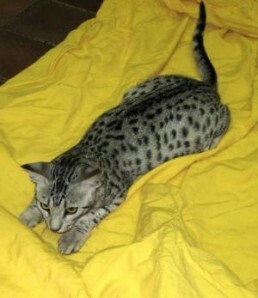 All Thickthorn Kittens are reared indoors with love and plenty of close contact. 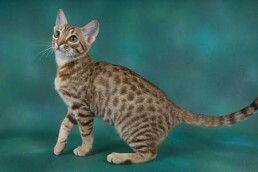 Before they leave they are inoculated against Feline Panleucopenia, Feline Leukemia, Feline herpesvirus and calicivirus and feline Chlamydia; wormed and if requested microchipped. 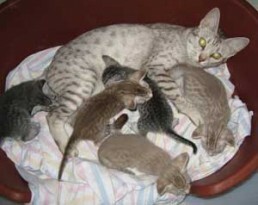 Here is Lady’s litter, born 3rd January 2007. She surprised us with three beautiful Classic patterned kittens – neither she nor Thunder, the sire, have produced Classics before. 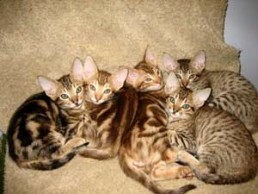 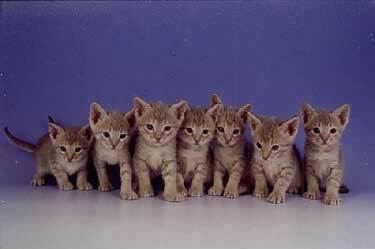 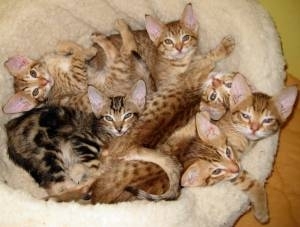 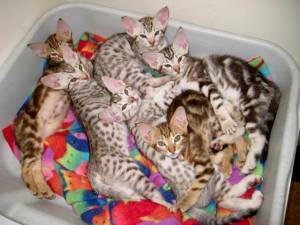 This is Lady’s beautiful litter of 7 chocolate kittens from 2005. 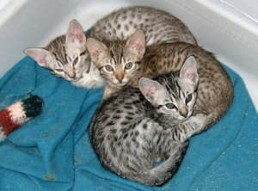 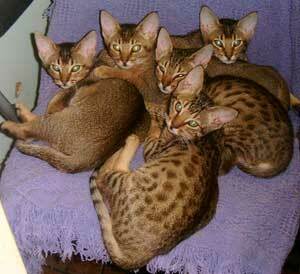 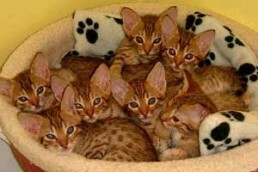 This is a litter of F2 kittens born in 2005 to Thickthorn Treacle and Foxioci’s Berry of Thickthorn. 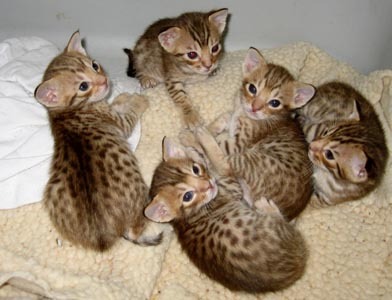 As you can see, the litter consisted of three little mountain lions and two spotted kittens, one of which is Thickthorn Molly Molasses who we have kept to further this line. And then, Treacle and Berry brought the whole programme to full fruition. 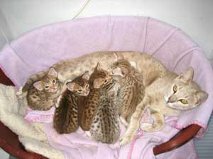 On 21st August 2006 Treacle had 4 beautiful spotted tawny kittens, rich in colour, and with near perfect pattern and contrast. 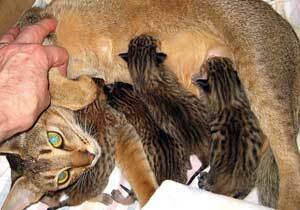 Here they are, a few hours old. This one isn’t going anywhere but here!